Walk through Miniland USA for jawdropping recreations of famous locations in the USA! Head into galaxies far far away with scenes from several of the Star Wars movies! An activity for both kids and grown ups: the park has more than 60 rides, shows, and attractions! Cheaper vs gate/online price. Very convenient! Plus vouchers are sent instantly. I booked just the night before our visit. Great value and my family and I are very satisfied. Legoland is definitely a must-see for young children. For decades, LEGOs have been some of the world's most famous toys, popular among kids and adults alike. The interlocking block system now takes center stage in LEGOLAND California, a mindblowing world filled with the most amazing construction feats in LEGO. Grab your ticket and don't miss Miniland USA where you'll spot America's most iconic locations completely recreated in LEGO blocks! From Washington DC to New York and San Francisco, you'll see familiar landmarks all painstakingly built in great detail using LEGO. You'll then head for galaxies far far away when you step into miniaturized LEGO scenes from Star Wars, including an actual, massive Death Star made of bricks! Over 60 rides and attractions are waiting for you: rollercoasters, live shows, and even meet-and-greets! Don't miss the chance to step into this wonderous world of bricks and craftsmanship! It's a world entirely made of LEGO that you can step into and explore! Over 60 rides and attractions can be found within the park for all to enjoy! 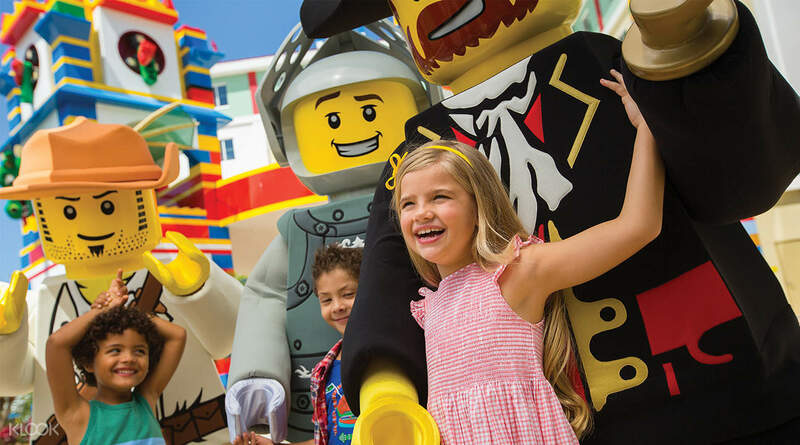 Explore the different LEGO worlds and enjoy the various LEGO themed attractions! Miniature worlds and landmarks built entirely in LEGO are waiting to be explored! 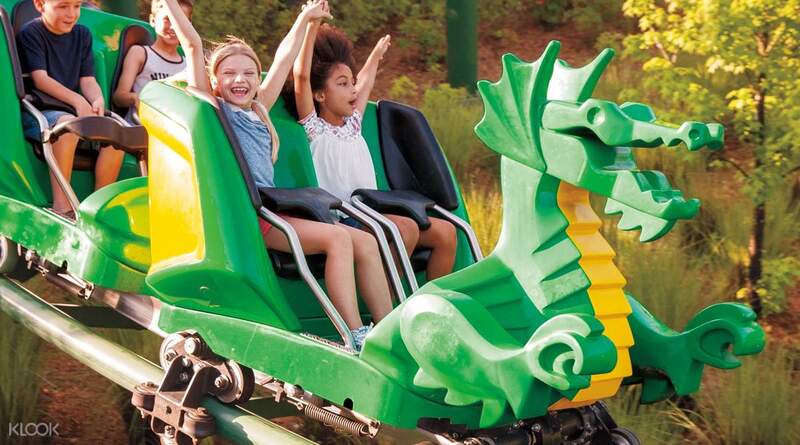 You can pay extra $25 at the ticket office to upgrade your "1-Day Admission to LEGOLAND California + SEA LIFE Aquarium" to "2-Day Admission to LEGOLAND California + SEA LIFE Aquarium"
Redeeming the tickets was super fast. The place was also very nice, especially miniland where a lot of lego replicas of different cities are displayed. The lego factory was also very informative. There is an added bonus because we also had admission to the Sea Life Aquarium, which was also nice. Redeeming the tickets was super fast. The place was also very nice, especially miniland where a lot of lego replicas of different cities are displayed. The lego factory was also very informative. There is an added bonus because we also had admission to the Sea Life Aquarium, which was also nice. Buy Klook tickets in advance and go straight to the turnstile. 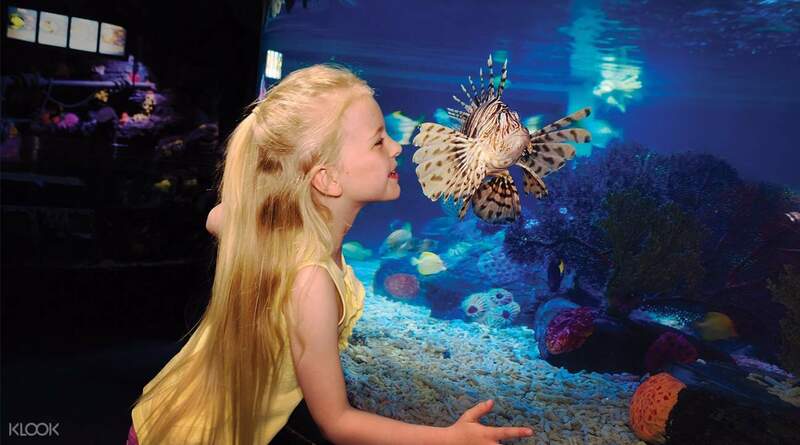 The ticket also includes the aquarium. The price is good and very easy to use. Legoland is fun for the family. Highly recommend. Buy Klook tickets in advance and go straight to the turnstile. The ticket also includes the aquarium. The price is good and very easy to use. Legoland is fun for the family. Highly recommend. My 9 year old son enjoyed so much all of the attractions. Easy access from los Angeles. Worth the price ticket. My 9 year old son enjoyed so much all of the attractions. Easy access from los Angeles. Worth the price ticket. Going to Legoland was a 7th birthday present to our son. The rides are perfect for his age. The park is very clean and lots of yummy foods to choose from. He was very happy and enjoyed Legoland very much! Going to Legoland was a 7th birthday present to our son. The rides are perfect for his age. The park is very clean and lots of yummy foods to choose from. He was very happy and enjoyed Legoland very much! Fun Legoland experience especially made easier by the convenience of purchasing the tickets from klook — no need to wait in line at the entrance to buy the tickets. Fun Legoland experience especially made easier by the convenience of purchasing the tickets from klook — no need to wait in line at the entrance to buy the tickets. Cheaper vs gate/online price. Very convenient! Plus vouchers are sent instantly. I booked just the night before our visit. Great value and my family and I are very satisfied. Legoland is definitely a must-see for young children. Cheaper vs gate/online price. Very convenient! Plus vouchers are sent instantly. I booked just the night before our visit. Great value and my family and I are very satisfied. 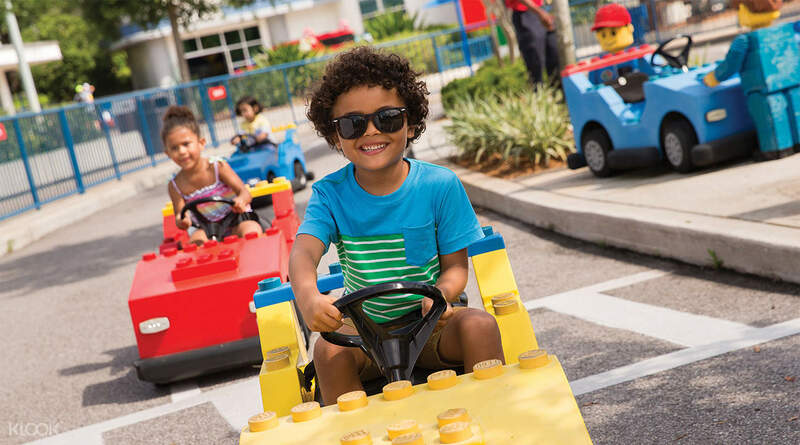 Legoland is definitely a must-see for young children. Thank You Klook! With Klook you can book anywhere using the app in an instant and it's very convenient! 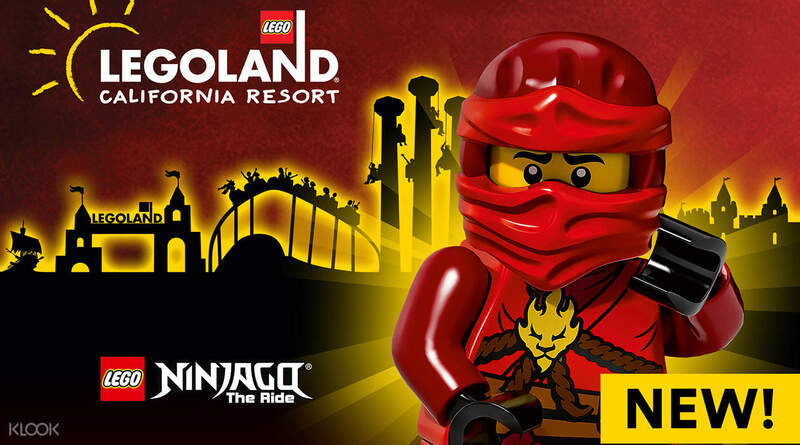 I booked Legoland California and got my etickets and all just went smoothly! It's so great! Definitely will use Klook and will recommend it with friends and family! Thank You Klook! With Klook you can book anywhere using the app in an instant and it's very convenient! I booked Legoland California and got my etickets and all just went smoothly! It's so great! Definitely will use Klook and will recommend it with friends and family!